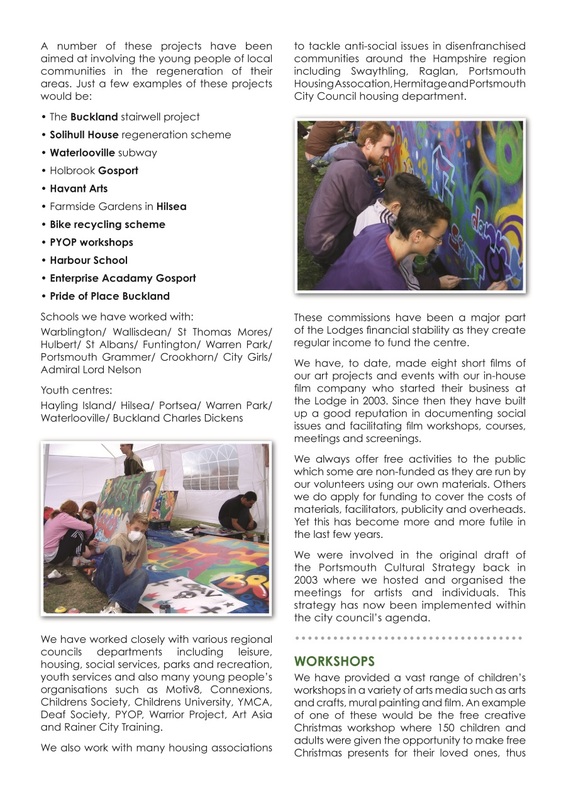 The Art & Soul Traders are a multi-award winning cooperative of experienced and dedicated artists, promoters and facilitators with backgrounds in murals, community art, filmmaking, event organisation, music, photography, and graphic design. 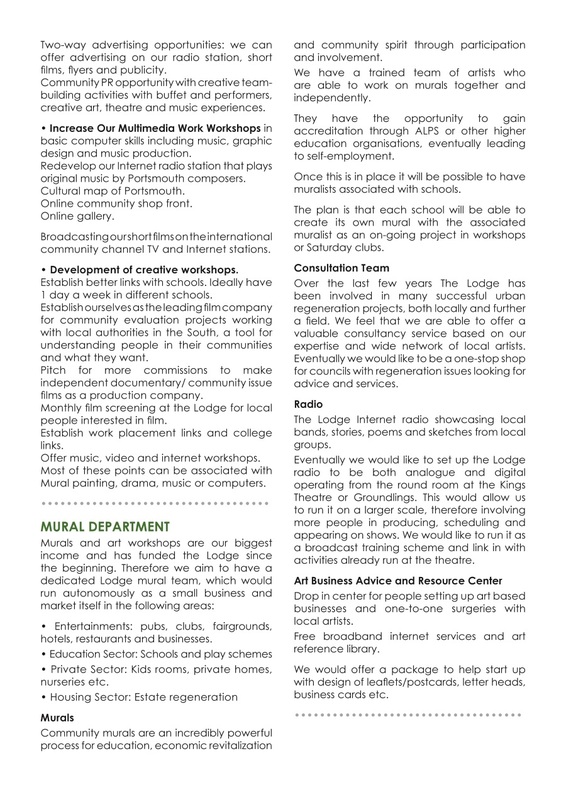 Our portfolio includes commissions for domestic, commercial and community projects. 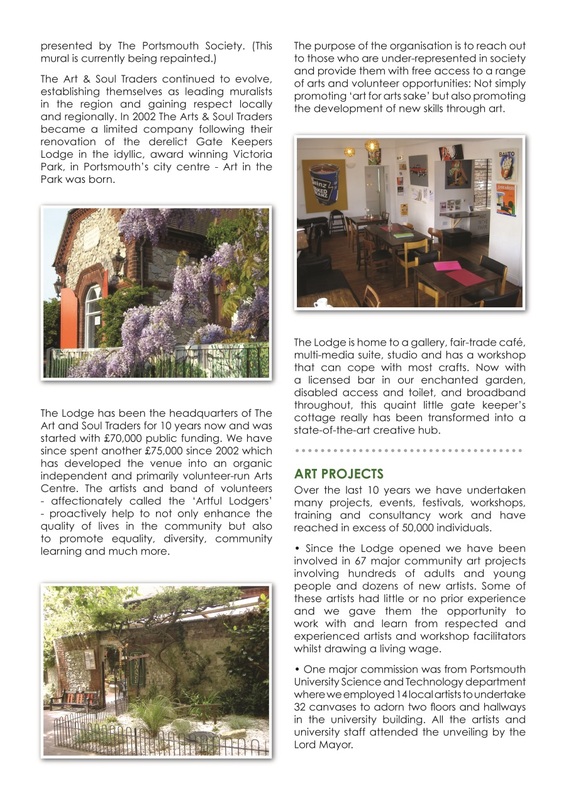 The Art & Soul Traders are a not profit-driven CIC (Community Interest Company) and was founded in 1998 by Mark E.W. Lewis who has been a self-employed, self-taught muralist since 1988. 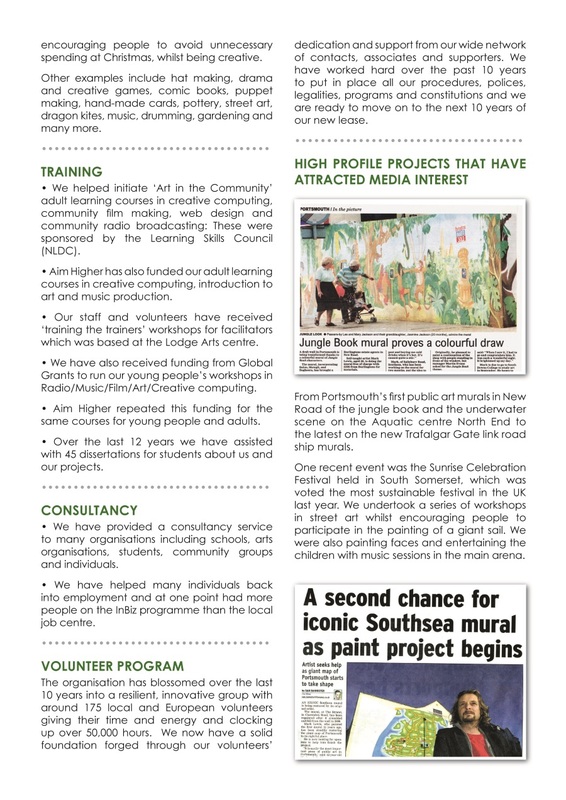 Mark and the team have covered over 300 murals worldwide to date yet mainly concentrate on the south coast of England. 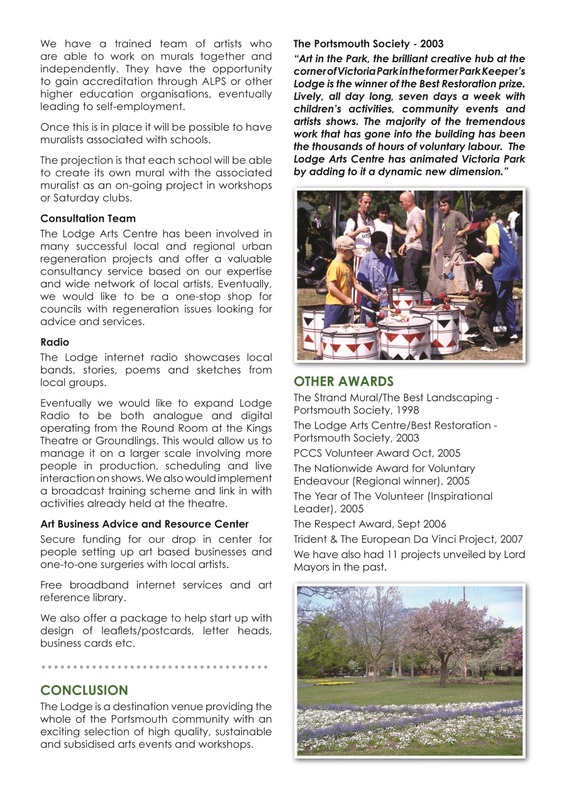 We have also organised some of the most successful events in Victoria Park in its 135-year history. 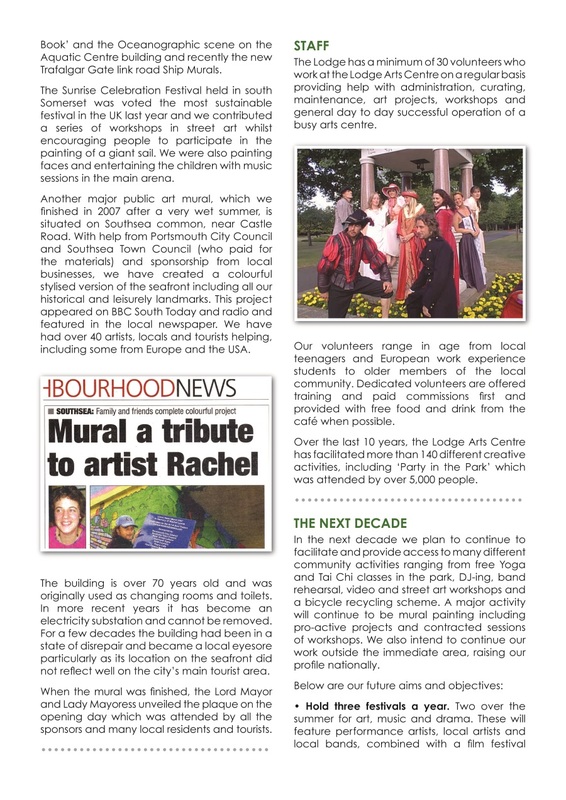 The story unfolds from a teenage dream of Marks to be part of a real grassroots arts/music hub in the community and after many years of battles in 2002 art in the park was born. Mark took on the capital fundraising in 2000 and the restoration in 2001 -2002 to save the derelict gatekeeper’s lodge in Victoria Park and to transform it into a community arts and music venue with cafe to provide access to the arts for all and for humility’s sake whilst offering park users a unique and friendly place to eat and drink. 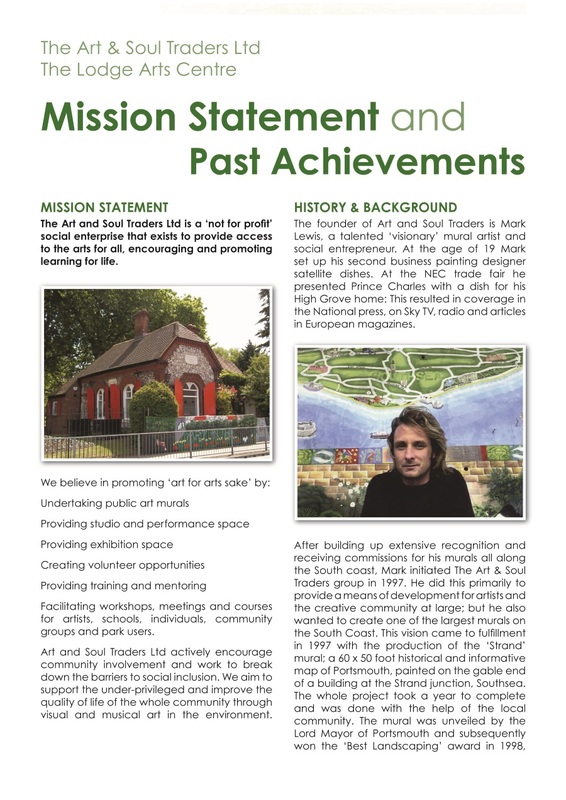 Sadly we lost our cultural hub we started last year due to some seriously wrong decisions by our local council that created enormous controversy that saw one of the biggest debates our city has seen which the smoke still has not dispersed. The backlash has just seen the Tory council leader losing her job and the whole party losing control of the council. So we could be back there one day? You can read more about this on our other pages, news articles and documents on this website.